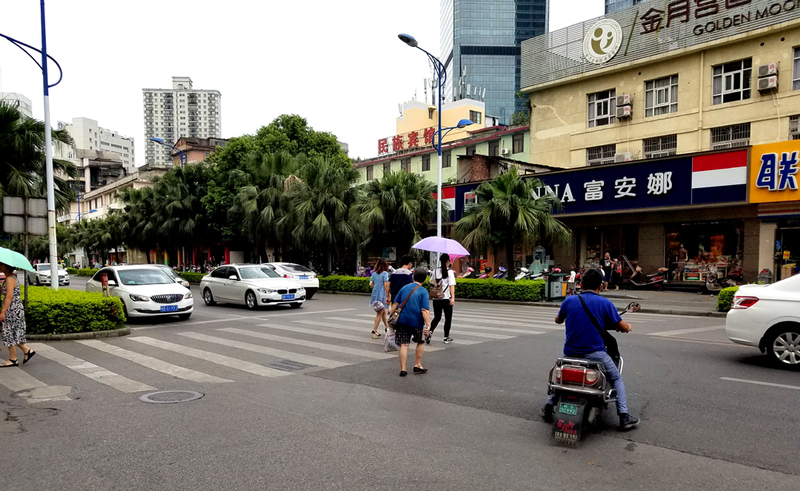 Almost exactly a year after their previous effort, the local authorities are again having a campaign to get Liuzhou drivers to pretend to be rational, intelligent, civilised human beings. It sort of worked, for a bit last, time. Some drivers tended to stop to give way to pedestrians on crossings for all of the month long campaign, which included newspaper, radio and television coverage. As soon as that ended, most went back to their old habits and became crossing blind again. This time round, they have launched their efforts with a training course for drivers zebra crossing slogan competition. Oh well. The winner came up with this. Hardly trips off the tongue and too long. It translates very loosely as “At traffic lights obey their sequence; at zebra crossings be civilised and give precedence.” It gets the key details in there and maybe it sounds better in Chinese. So, as ever in China, once we have a slogan everything will be hunky dory. Or not.
. This entry was posted on Monday, July 17th, 2017 at 10:25 pm	and is filed under Liuzhou Life, Liuzhou News, Traffic Traumas. You can follow any responses to this entry through the RSS 2.0 feed. Both comments and pings are currently closed.